Becasue we care about your safety that is why we have partnered with Kilimanjaro SAR (Search And Rescue) the only helicopter-based search and rescue company on the Mountain. It offers the best and modern search and rescue services using helicopters that can fly in any weather. Kilimanjaro SAR strives to make Kilimanjaro the safest tourist destination in Africa. Our helicopter will pick you up from the designated area on the mountain, where our medical team will immediately start an in-flight medical treatment. Upon landing at KIA/Moshi Airport there will be transport, to take you to your local residence. If you require further medical attention uponlanding, you will be taken to our modern private High Altitude Medical clinic ideal for Acute Mountain Sickness (AMS). 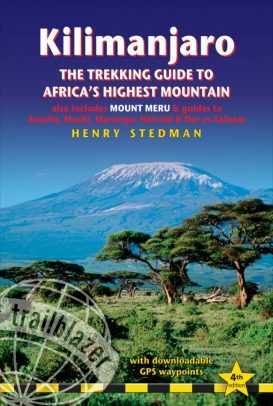 A unique and extraordinary way to provide you with the best health care on your adventure to stand on the roof of Africa. Give yourself a peace of mind by having a doctor to accompany you when hiking Kilimanjaro. Our doctors on duty are mountaineers with years of experience on climbing Mountains all over the world, capable enough to take control upon emergencies on the Mountain. Book yourself a doctor at least 2 months in advance and get an assurance of standing on the highest point of Africa, to witness the stunning beauty of nature. Book yourself a doctor with us at least 2 months in advance. What kind of travel insurance do my clients need for a helicopter evacuation on Mount Kilimanjaro? Yes, Kilimanjaro SAR advise tour operators to submit their clients’ insurance details and passport copies before hiking. We need the operators to give us all climbing manifests prior to hiking.